Tragic Arrogance ($0.33) Price History from major stores - Magic Origins - MTGPrice.com Values for Ebay, Amazon and hobby stores! 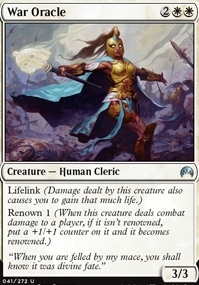 Card Text: For each player, you choose from among the permanents that player controls an artifact, a creature, an enchantment, and a planeswalker. 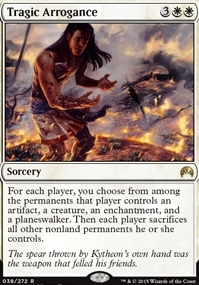 Then each player sacrifices all other nonland permanents he or she controls. Flavor Text: The spear thrown by Kytheon's own hand was the weapon that felled his friends.